The surviving members of Lynyrd Skynyrd have filed a lawsuit against former bandmate and drummer Artimus Pyle over his plans to release a biopic depicting the 1977 plane crash that killed six people, including lead singer Ronnie Van Zant, guitarist Steve Gaines and backup singer Cassie Gaines. Rolling Stone reports guitarist Gary Rossington, Ronnie Van Zant's brother and lead singer Johnny Van Zant, and the estates of other Skynyrd members killed in the crash were among those who filed the lawsuit against Pyle and co-producer Cleopatra Records in Manhattan on June 16. 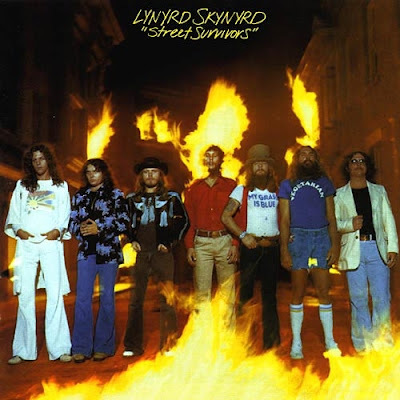 In the suit, Lynyrd Skynyrd argues that Pyle "is free to exploit his own personal life story" for the film, but the biopic is in danger of violating "a 1988 consent order" that members – Pyle included – agreed to concerning control of the Lynyrd Skynyrd copyright. The order states that "No such exploitation of life story rights is authorized which purports to be a history of the 'Lynyrd Skynyrd' band, as opposed to the life story of the applicable individual." The lawsuit marks the second interaction between the parties since Pyle first announced plans for the project. Initially titled “Free Bird”, the project was changed to “Street Survivors: The True Story Of The Lynyrd Skynyrd Plane Crash” following a cease-and-desist notice from the group last summer. As an unauthorized biopic, Pyle is prevented from incorporating the band's music into the film. The project is reportedly in production now and may be released in 2018. A July 11 court date has been scheduled for the lawsuit. Pyle left Lynyrd Skynyrd in 1991.